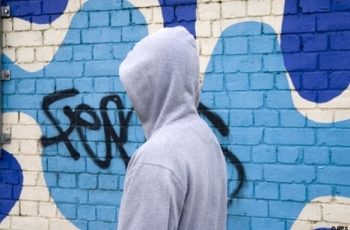 The principle of ‘Choice’ is fundamental to reducing serious youth violence and ensuring that UK youth policy is not overrun by anti-crime strategies writes OBV alumni Stephen Bediako. Overall Britain’s young people are thriving. According to recent OECD research 13 years of Labour has improved some children’s outcomes. However, an issue persists with youth violence, especially in our inner-cities with a record number of 29 teenagers killed in the capital in 2008, topping the previous worst toll of 27 in 2007 according to the Metropolitan Police. The last 10 years has seen a hike in serious youth and group violence and media interest in the problem. In London the murder rate involving guns, knives and gangs has increased (19 deaths in 2010) – and in a chaotic manner. What this shows is a failure of multiple governments to demonstrate the confidence and genuine attitude (including the last) to engage our deprived communities to tackle their endemic problems, it should be those very communities that ‘choose and design’ the solutions to these historic ills. The new coalition government appear ambitious and genuine in their efforts to tackle youth violence and the agenda of the Big Society in principle is right, but in implementation has everything to prove. The predictable/top-down/practitioner knows-best interventions are stacking up. Youth work, mentoring, cognitive support, resettlement support, desistance work, alternative education projects and other programmes have all emerged in recent years. While the issue persists, the new economic situation and the MOJ’s emerging policy to reduce imprisonment as per the 2010 Green Paper, all provide another historic opportunity to make a dent in the issue. Any intervention to reduce youth offending must embrace the principle of ‘choice’. Research from Demos on early intervention shows that in recent years interventions have presented limited choices to disadvantaged youth (because they have often been based on a mainstream view of the world); usually falling short of the most hard to reach people and communities, and usually intervening unsuccessfully too, as a Home Office report on investing to deliver showed in 2004 and the Greater London Authority’s Project Oracle is showing now. If we are genuine about empowering our young people it’s time we offer them the thing that we all strive for and enjoy; freedom of choice. So what is choice in this context? It’s in asking a young person exactly what they want to do with their lives; and subsequently helping them achieve it. Building on ideas and developments such as personalised services for vulnerable people (personalisation) or the ideas of co-production in designing or delivering services; the goal is to help the client design their very own personalised intervention from a menu of opportunities. Vulnerable young people fall into two groups. Firstly, there is a flow of young people who are on the periphery to entering a world of violence, whom we should help make better decisions about which path to take. Then there is also a stock of young people who are knee deep in street life and need clear, credible, honourable and safe exits out. How does choice help to tackle these two problematic situations? Youth involved in violence in one way or another have chosen that their best chance of survival is to get involved and play the street game – and in many ways there is little choice in this decision as the work of Capital Conflict Management, a youth violence mediation service in London and the South East, has found from mediating nearly 100 cases of serious youth violent conflicts in London since late 2009. However, more often than not, these very youth have something to offer and those that become effective in their street worlds (leading gangs, controlling drugs trades, attracting new members etc.) also possess similar characteristics to some of our captains of industry, leaders in public service, and other professions. Yet, more often than not, they are also not in education, employment or training and find themselves chained to a world of violence. Consequently the logical goal must be to offer them support and choice in finding the necessary routes into commerce, industry or education because they manifestly don’t have the social capital to access these worlds. What else could we do? We must, for example, get existing companies and employers to offer structured and safe routes into the world of work – innovative job creation – we need positive action for our disadvantaged youth and must find ways to integrate them and monetise what they have to offer; their culture, ideas, habits, tastes. This must be done positively, though, because what we can see from the example of the music industry is that the trend is all too often negative, as found by the research of Dr Louise Archer and Hiromi Yamashita into youth identity. When I walk around and see groups of boys hanging out on the ‘road’ with groups of girls, shouting at them; or when I see guys driving big cars with girls in 6 inch heels looking for attention – I see a brand-driven consumer culture. I see some of the most successful brands (car, fashion, music, electronics, sport etc.) entrenched in the negative culture, exploiting the disposable income of this subculture, and in return running a couple of Corporate Social Responsibility programmes to cover up their profiteering from the negativity on our streets. To name names would be undiplomatic. We must encourage these brands to take some responsibility and support interventions. In terms of education the new free schools policy, while questionable, does offer an opportunity to deliver alternative education to our young people both in terms of content and engagement style – so why can’t we see a school where young people are heavily involved in how it is run from building design to curriculum design and delivery? The bottom line is we need greater choice in our schools. This is particularly pertinent to our secondary schools where youth decline can begin, our teachers begin to ‘manage’ rather than ‘inspire’ and those most vulnerable young people end up in Pupil Referral Units – the so-called breeding ground for youth crime and violence, but actually sources of revitalisation and hope for vulnerable kids and their parents as found by IPSOS MORI research in 2008. Education can also manifest itself in the volunteering schemes that are emerging such as the Challenge Network, and innovative projects such as VOYAGE run by the Black Police Association, and all of this needs to be developed so we can widen the experience and social capital of our young people. Again the critical point of these interventions is that they must access the most hard-to-reach, offer them real choices, and help to sustain the experience that they provide. My belief is that enterprise and self-employment is the golden ticket. Yes, we can support traditional enterprise. If someone in a problem lifestyle wants to be a plumber, run a sports business or start a magazine or whatever they want to do lets help them do it. But let’s be straight. Yes, you have to manage expectations, and some will not get there – but for many of us it is striving for something positive that acts as a catalyst to achieving our goals. As a good friend always says to me, ‘to fall is not to fail’. Real support from real entrepreneurs to help these young people pursue whatever business or socially positive idea they genuinely want to achieve is a far better investment than ‘top down’ solutions, stereotyping into the usual roles or else the route to imprisonment. We must be realistic that we cannot eradicate this problematic sub culture – but by offering positive and real choices to young people, either involved, or at risk of becoming involved, in violent and chaotic lifestyles, we can really begin to improve outcomes for them. Stephen Bediakowas part of the 2010 OBV Parliamentary Shadowing Scheme. He is a mentor to aspiring social entrepreneurs on the UpRising Programme at the Young Foundation. He is also a co-founder and Director at ‘The Social Innovation Partnership’ (TSIP) a social business committed to reducing crime and disorder across the UK. Submitted by Dan (not verified) on Tue, 08/02/2011 - 10:45. Very thought-provoking. I agree there isn't one solution to any problem and offering a wider choice can only benefit those who often, as you say, feel they don't have any choice either way.